EVGA has announced a new generation X99 motherboard for the upcoming Intel Broadwell-E processors, which are expected this summer. 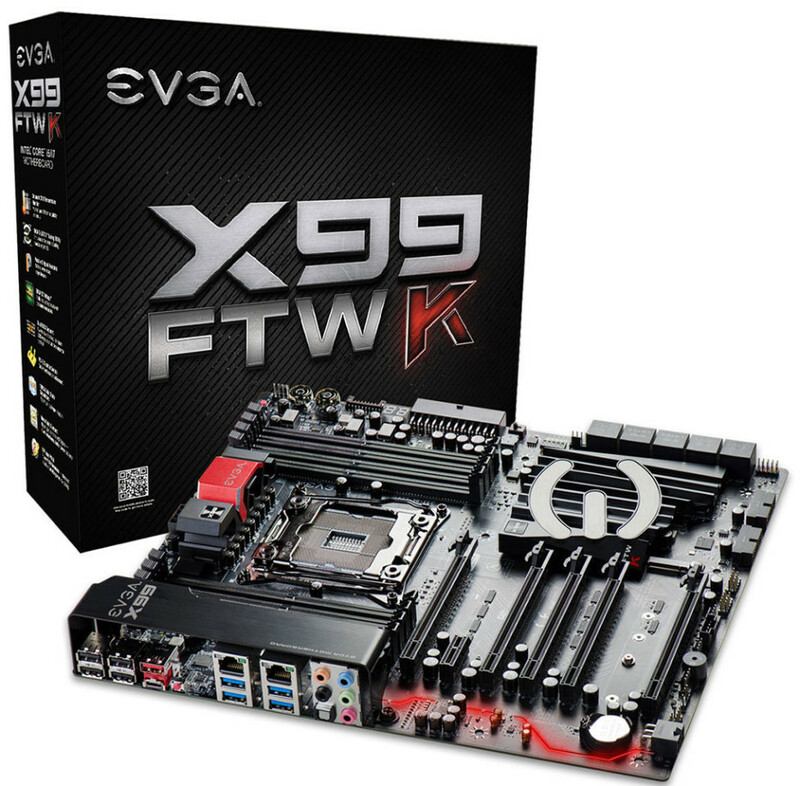 The new motherboard is called X99 FTW K and it is obviously based on the high-end Intel X99 chipset. The new X99 FTW K motherboard features an 8-layer Hybrid Black PCB with a LGA 2011-3 CPU socket, which sports 150 per cent more gold than other motherboards for excellent signal transmission. The X99 FTW K also comes with an advanced 8-phase Digital VRM (IR3563B+IR3350) subsystem for industry-leading stability. Moreover the new EVGA board comes with Killer NIC E2400 Ethernet for excellent network performance, support for 4-way SLI, two Gigabit Ethernet ports, right-angle power connectors, PCI-E disable switches, eight memory slots for up to 128 GB of DDR4-3200 memory and much more. There’s no information how much the EVGA X99 FTW K costs but given its extensive features the new motherboard cannot be cheap.